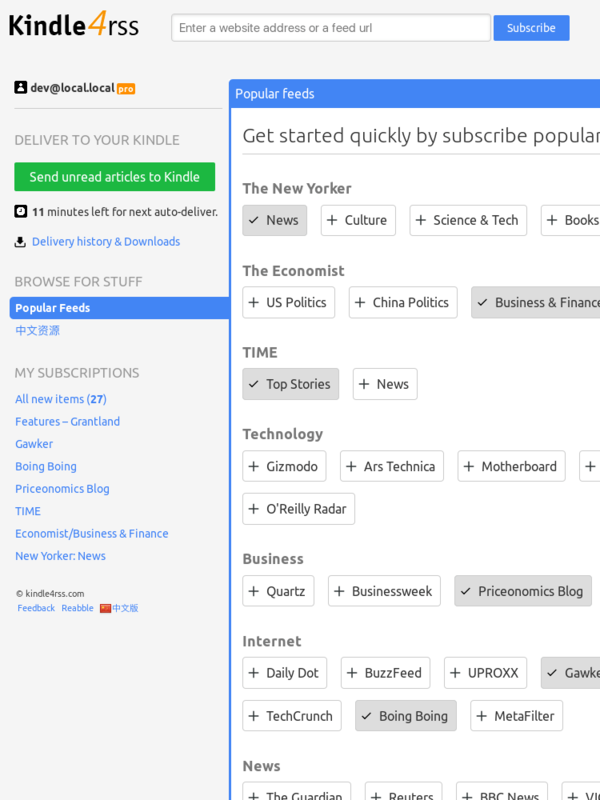 Kindle4RSS is a RSS feeds delivery service for Kindle owners. Convert partial feeds to full-text feeds! Delivered in easy-to-navigate format with a Table of Contents.